Interviews – by phone, in person or by video – provide information for the employer that a resume and cover letter cannot. 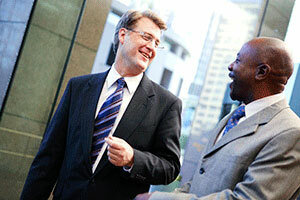 They demonstrate a candidate’s personality and show how they communicate and present themselves. Also, by visiting the workplace and asking a few good questions, interviewees can better determine if the job is right for them. When the recruiter, hiring manager or Human Resources coordinator sets up the interview appointment, you can ask a few questions about the position. This is your time, too. What are the top challenges of the position? What is the recent history of this department in terms of growth and type of work? The recruiter may ask you some screening questions at this time as well, so be prepared to explain how you meet the basic qualifications of the position. Identify the key skills needed for this position by analyzing the job description. Refer back to the Prepare Myself section to review your own strengths to see how well they match the job requirements. Prepare a few accomplishment stories you might use during the interview, based on the required skills you have just identified in the job description. Do some internet research on the Kaiser Permanente departments that interest you to learn about their current business initiatives and business strategy. Bring a notebook, extra copies of your resume, business cards if you have them, notes on your job history to fill out a job application and a list of your references, including how they preferred being contacted (phone and/or email address), their title, name of their organization, and the time/place and kind of work you did with them. Practice answering standard interview questions in front of a mirror, with an interview partner or a friend. The more practice you have, the more relaxed and confident you will feel. Wear conservative, appropriate work clothes to an interview. Dress just above the position you are applying for. When recruitment or HR calls with information or a request, respond quickly to show your interest and keep you in the running. Plan on arriving ten minutes early to the interview. Anticipate problems with traffic congestion, directions or parking. Introduce yourself with a firm handshake and an exchange of business cards, when appropriate. Try to remember the name and title of each person you are introduced to. A few minutes of "small talk" usually precedes the interview questions. Take this opportunity to relax, get comfortable and settle into your discussion. Get a sense of the interviewer and mimic their personal style. Do they want to get to know you through more casual conversation, or prefer getting down to the facts and details early on? Be honest and confident about your skills and accomplishments. Use your accomplishment stories to give specific examples that prove your competence in the different skill areas they care about most. It is an opportunity to speak their language. Maintain eye contact to see if your stories are on the right track – or have gone off the point. Don't be negative about your current or previous positions or managers, even if you feel differently. Instead, focus on why you are looking to build your experience through a new position. Be prepared for a salary question. Ask them for the budgeted range first and know your worth in the marketplace as well as comparable salaries at KP. At the end of the interview, be prepared with two to three questions to show you were listening well, are interested in the position and care about being part of the KP organization. Take this opportunity to collect all the information you need to accept or reject the offer. At the end of the interview, find out what the next steps are in their interview process and if they have a timeframe for making a decision. Restate your interest in the position. With the new information you have gained during the interview, think about the job and consider if the offer is what you need and want. Write a thank you note or email to all your interviewers. A follow-up letter can include your reaction to the interview, why you want the job, and what you could bring to the department and the team. It is also another opportunity to make a good impression. If you are interested in accepting the position, alert your references that you have just had a successful interview and give them permission to speak about you if they receive a call from the HR department. Send your references a copy of your resume and the job description. Communicate the key skill areas to your references that your interviewer was interested in. Ask your references to call you after they are contacted. De-brief with them and identify any areas or concerns expressed by the interviewers. You may have an opportunity to follow-up with your interviewers and address these issues before you are eliminated. If your references get contacted, send them a thank you note or email letting them know you appreciate their support and time.